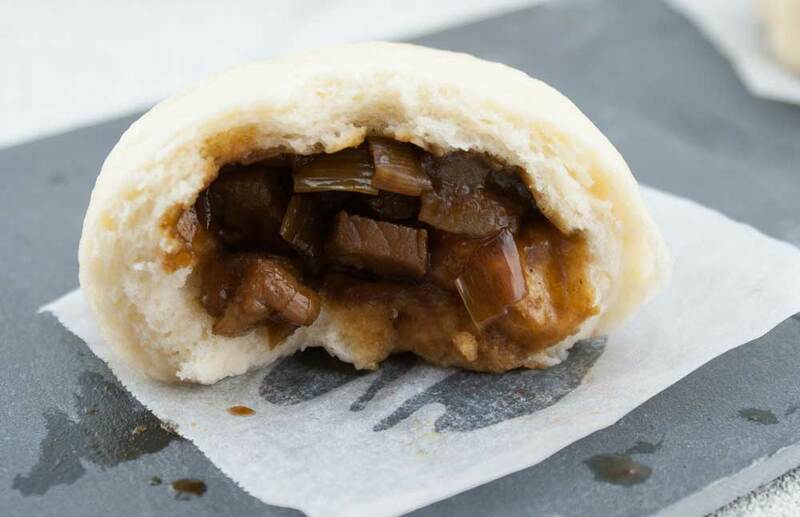 One of the offices that Stew used to work in was set above bars and restaurants and he would come home every Friday talking about the wonderful Char Siu Bau that they had eaten whilst having after work drinks. Literally raving about them and asking me to make them. Never one to step away from a challenge one weekend I set out to recreate them. 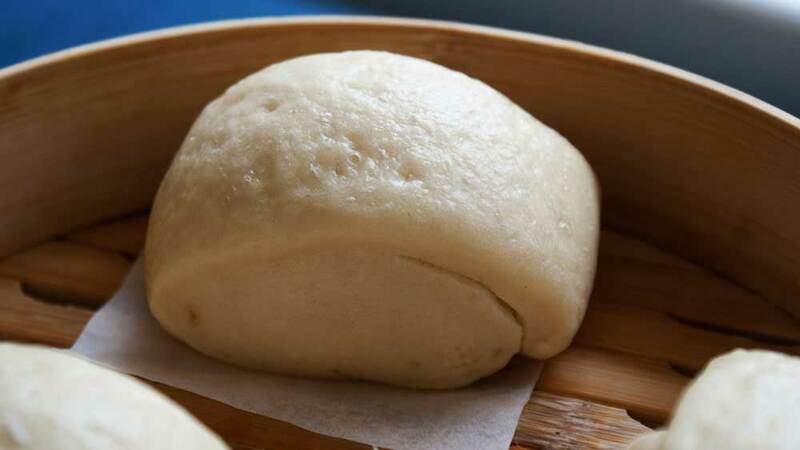 I have followed several recipes to come up with what I think is the perfect pork steamed bun, but after much tweaking I have come up with a filling that tastes authentic and doesn’t have 4 tablespoons of sugar in. The flavour is rich and deep whilst the buns are fluffy and light. No one wants stodgy buns with dry filling!!! 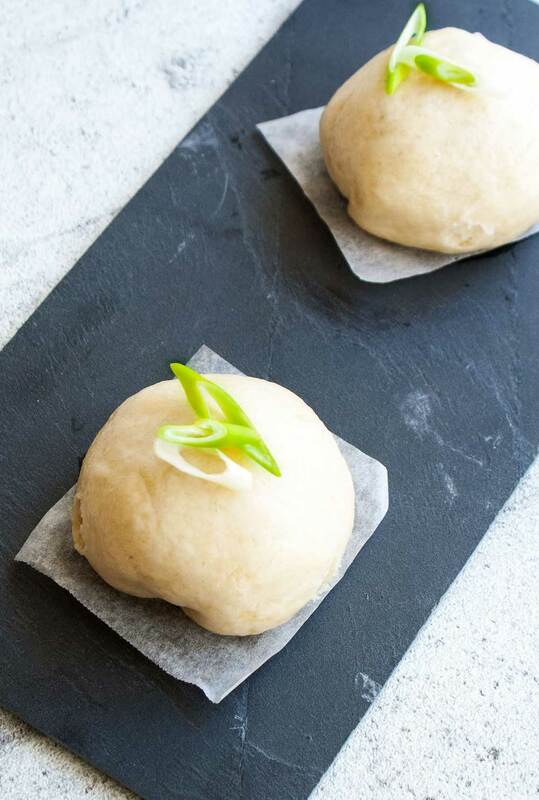 I use my favourite Mantou recipe for the dough. This recipe has never failed me and I just love it! It is pretty simple and doesn’t take long to prepare. Don’t be put off by the list of ingredients, I can buy them all in my local supermarket and once you have made these once you will want to make them again. Cut the pork into strips about 2 cm thick and place in a large non-metallic mixing bowl. Lightly crush the garlic clove and add it to the pork. Add the sugar, five spice, hoisin, rice wine, soy sauce, sesame oil and honey into the bowl and mix well to combine. Leave the pork to marinade for 6 hours (or over night). Pre-heat the oven to it's highest setting (usually 250ºC). Line a baking sheet with cooking paper. Use a fork or tongs to remove the strips of pork from the marinade and lay them out flat on the tray. Pour the remaining marinade into a small pan. Roast the pork for 25-30 minutes until cooked and slightly crispy. Whilst the pork is cooking, making the dough. Remove the pork from the oven and set aside to cool. Chop the spring onions into small rounds. Place the reserved marinade over a medium heat and bring to a simmer, add a pinch of pepper, the oyster sauce, hoisin sauce and chopped spring onion. Cook for 5 minutes. Cut the meat into small pieces and add it to the simmering marinade. Cook this for a further 5 minutes until everything is sticky. Divide the dough into 12 equal balls and then flatten a ball into the palm of your hand. Spoon about 1 tablespoon of pork mixture into the dough and then gather and pinch it up to enclose the filling. Place the completed bun onto a square of cooking paper. To cook, place the buns in a steamer allowing plenty of space for expansion. Steam for 15-20 minutes until they feel springy. Serve with a dipping sauce of your choice or enjoy them plain. Oh I am so glad you loved the recipe! What filling did you use? Was it still a pork filling? I love trying new bau recipes so would be excited to know. Steamed buns are just the best! I had some beef barbacoa left and decided to use it for the steamed buns. Had a perfect dinner. Thank you for the recipe! So glad you enjoyed then Ange. WOW! These look amazing! I like that it has less sugar in the recipe, too! Claire, this is AWESOME! 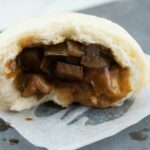 I love pork steamed buns, and this recipe is perfect. Pinning to try soon. We love them here too. I struggled to get photos as little hands kept trying to steal them!!! !